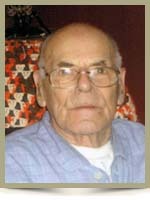 Doubleday, John Harvey, 88, of Liverpool, passed away on Friday, February 24th, 2012, in the Queens General Hospital, Liverpool. Born in Halifax, he was a son of the late Charles and Mary Doubleday. John was a veteran of WWII. He was employed for over 30 years at the Nova Scotia Liquor Commission Bottle Exchange in Halifax. He was well known for his collection of lighthouse models and his ability to make them. He loved listening to music , being especially fond of bagpipe music. He is survived by daughters Mary Ann Anthony, Avis, all of Liverpool; sons Alfred, Monty, both of Liverpool, Charles (Bonnie), Edward (Norma), both of Milton; grandchildren Karen, Keelie and MaKenzie. He was predeceased by his wife Faye; daughter Irene; grandson David; sisters Lilly, Joyce; brother Evan. Mary and family, so sorry to hear of your Father’s passing. Edward and Norma…so sorry for your loss…My thoughts are with you….God Bles all the family. Very sorry to hear of your loss. My thoughts and prayers are with you all. sorry for your loss ,my thoughts are with you all . So sorry for your loss, take comfort in knowing he is FREE from pain and Flying High with the Angels…. My deepest sympathy to the Doubleday family. My thoughts are with you at this sad time. My Deepest Sympathy goes out to Edward and Norma for the loss of your Loved one..Our thoughts and prayers are with you and the Doubleday family. Sorry to hear your loss, thinking of you. I was very sorry to hear that Jack my uncle had passed. My thoughts and prayers go out to all of you . Jack was the last of the orginal Doubleday family from Halifax. He will me missed. My sympathies go to you on the death of your father. You may remember me as your teacher in 1970-1971. Of course you are all grown up now, but to me you are my little students.. I will always remember you. I was so sorry to hear about your loss. John was a wonderful gentleman and I will miss him. He has gone to be with his beloved wife and remember you will all be together again someday. Monty,Dale and family, so sorry to hear of your Dad’s passing, he was a sweet man, may god be with you all at this sad time. Monty & families we was very sorry to hear of the passing of your dad he was a wonderful man .Always cherish the memories u have of him .He is now free from pain and flying high with the angels .R.I.P. Jack as we knew him ..
Doubleday Family: We were sorry to hear about John. Our thoughts and our prayers are with your family. I was saddened to hear about your Father,My thoughts and prayers go out to all of you at this most difficult time.